Each year, we match nearly 400 Washtenaw County youth with Bigs (mentors) in efforts to impact their lives in a positive way. From having a role-model to establishing a lifelong friendship built from trust and support, our mission is to change lives through mentorship, and we need your help. Your financial support will help us achieve our vision of ensuring that every child can achieve success...in their own. Help us guide and support the next generation of community leaders, entrepreneurs, college graduates--world changers. Support a youth’s chance to succeed, donate now. If you would like to pay by check, make your check payable to: Big Brothers Big Sisters of Washtenaw County. Check can be sent to our office at 11 West Michigan Avenue, Ypsilanti, MI 48197. 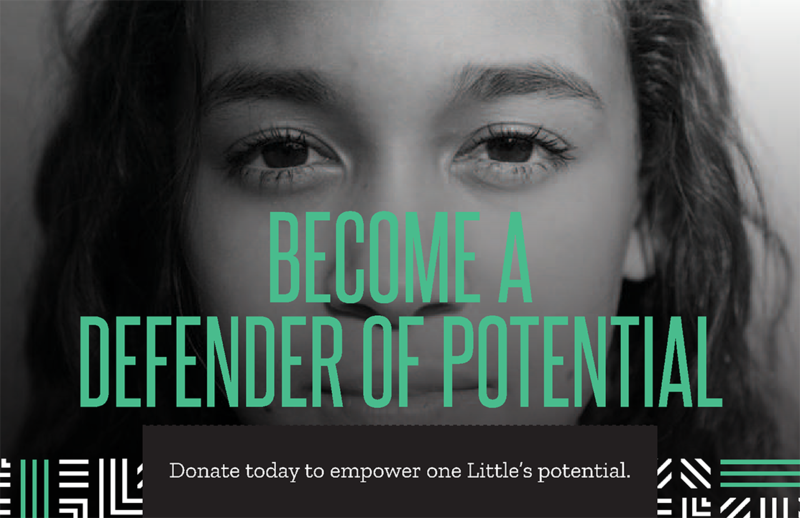 ​For more information about donating, please contact: Jennifer Spitler, Executive Director, at jennifer.spitler@bbbswashtenaw.org or 734-975-0933. For more information on other ways to give to BBBS, click here. At this time Big Brothers Big Sisters of Washtenaw County cannot accept clothing, furniture, or automobile donations.